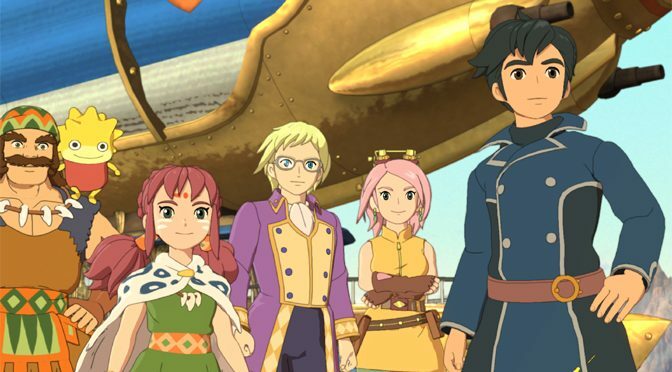 On its surface, Ni No Kuni 2: Revenant Kingdom seems like a whimsical fairytale, full of anthropomorphic animals, genial sky pirates and a young king coming of age — the types of storytelling elements you might find in a picture- book. But dig a little deeper, and you’ll find Ni No Kuni 2 is far more than a simple children’s story. 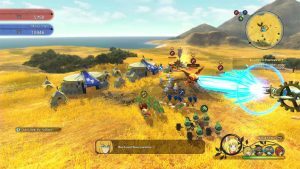 With near constant combat, real-time-strategy elements and even a light city management simulator, No No Kuni 2 has more to offer than first meets the eye. Forced into exile because of a coup, Evan Pettiwhisker Tildrum is determined to start his own kingdom and avenge his father’s betrayal and death. 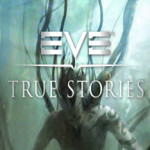 Alongside a motley crew of eclectic characters with myriad skills and specialties, players take Evan and his fledgling kingdom through near-constant battles, interrupted only by the need to lead an army or manage his burgeoning city. 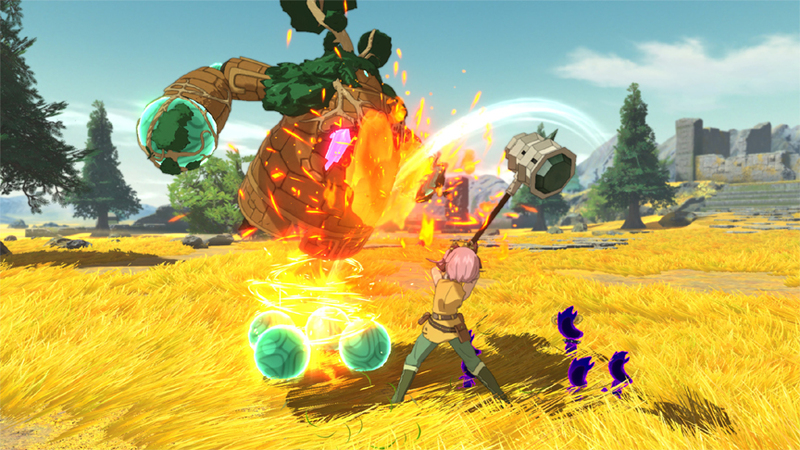 The game thrusts players into the battle system almost instantly. 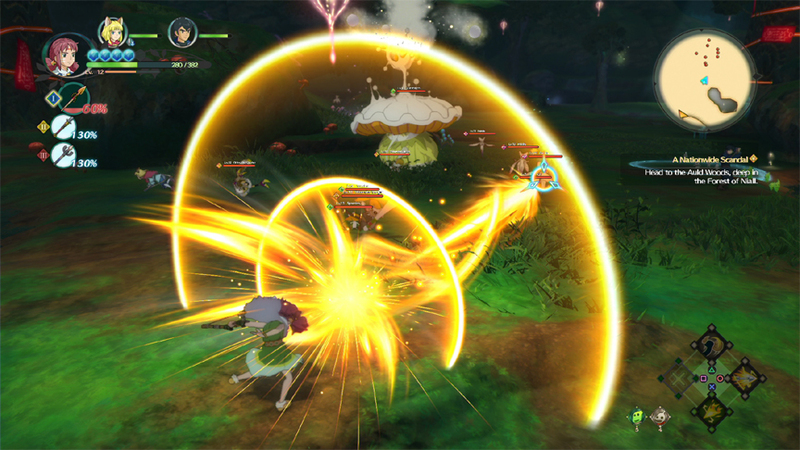 Bringing three characters at a time into combat, Ni No Kuni 2 gives each of them up to three melee weapons and a single ranged one to take on hordes of enemies — emphasis on hordes. 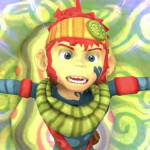 Characters also have unique skills that affect their play styles and roles. Evan, for instance, deals high magical damage and boasts special abilities that focus on inflicting ranged assaults. Roland, on the other hand, is a dangerous close-range swordsman, with fast, powerful attacks that keep the pressure on opponents. 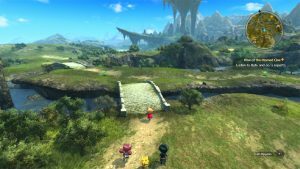 Explore the wonderful world of Ni No Kuni 2: Revenant Kingdom with a copy from Amazon! In addition to using character skills frequently, changing melee weapons is a constant part of battle. 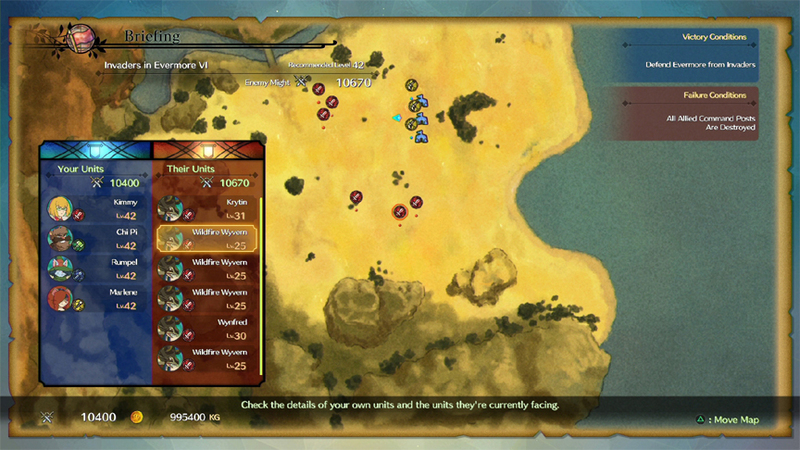 A quick button press cycles among the three equipped melee weapons, with the game’s combat system encouraging frequent swapping. While it may at first seem strange to swap your most powerful weapon for something with lower stats, Ni No Kuni 2 ties a metered gauge to each. 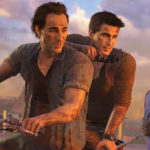 When a melee weapon’s gauge hits 100 percent, the next skill a player uses becomes a super-powered version. What had previously been a whirling sword slash now becomes a raging fire tornado. A small flurry of sword slashes becomes a hurricane of strikes that extends to the edge of the screen, and so on. The key is making sure your weapons’ meters continue building towards their maximum level, which happens whether you’re using the weapon or not. Smart players will strategically save their best weapons’ charge meters and match them with their most powerful skills to keep the dealing the most damage possible. In addition to balancing weapon swapping, players can switch among the characters who enter combat with a single button, even in the middle of combat. It helps to keep the fighting fresh and can be used for a more nuanced approach when things get dicey. 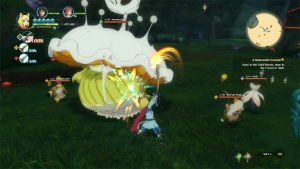 Unfortunately, that leads to the most glaring, potentially game-breaking problem Ni No Kuni 2 has: Combat almost never gets to that dicey point because it’s far too easy, and there’s no way to adjust the difficulty to make it more challenging. 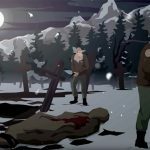 With the exception of a few boss battles and optional high-end monsters, most of the game’s relentless stream of enemies will crumble before you. Your characters are simply far too powerful and your enemies too weak. On top of that, groups of adorable elementals called Higgledies assist you through attacking on their own and enhancing your already overpowered skills. It’s a shame because combat is genuinely entertaining for the first several hours of gameplay, but the sheer frequency and ease of battle turns Ni No Kuni’s main component into a nonstop grind. Additionally, characters level up so often — and do so whether they’re active in battle or not — that you’ll outmatch most opponents through simple button mashing no matter which character you select. Outside of the main combat elements, a sort of real-time strategy mode has you leading an army through skirmishes with opposing forces. Because this takes place on the world map, Ni No Kuni’s graphical style changes from gorgeous, detailed character models to something that looks like a Funko Pop come to life. You’re effectively a slightly detailed bobblehead leading a group of less-detailed bobblehead soldiers. It’s quirky, but it in a strange way, it works. 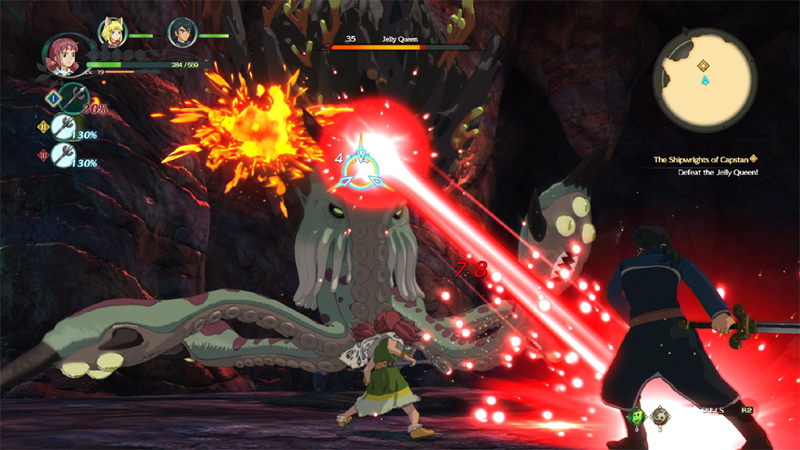 Beyond the two combat modes, Ni No Kuni offers a light city management area that focuses on you completing side quests to unlock new citizens. Each one has his or her own specialty and can be assigned to a unique role in your ever-growing kingdom. By placing citizens whose strengths match their assigned professions, you can optimize the kingdom’s progress and unlock new shops, items and research to continue your expansion. There’s no doubt that Ni No Kuni 2: Revenant Kingdom has the heart and charm of a great RPG. Stunning artwork, a beautiful soundtrack and fairytale-like atmosphere create the perfect setting for a classic game in the genre. But while combat provides a steady platform, its simplicity and ease prevent Ni No Kuni making the jump from good to great. 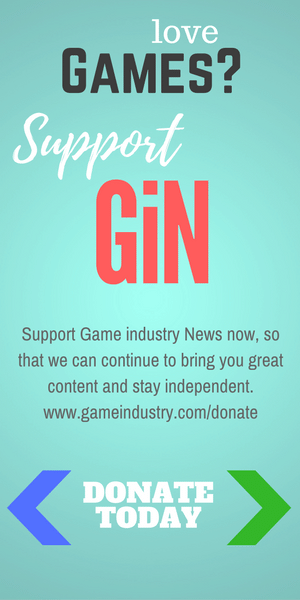 Ni No Kuni 2: Revenant Kingdom earns 3.5 GiN Gems out of 5.